Are you looking for a practical and beautiful leather letter pad portfolio? How would you like to have one crafted from the leather finish, and color of your choice? How about choosing the features that will stitched within the cover like a document flap, business card holder, pen holder, or document ring? Would you like to have it personalized with your name, logo, or monogram on the cover? If any of this sounds good to you, please feel free to give us a call to discuss how we might craft a personalized leather portfolio for you. Please feel free to browse our selection of leather photo albums, leather guest books, and leather portfolios on our website. Our leather photo envelopes are a great way to keep your favorite pictures with you wherever you go. They easily accommodate 4 x 6 photos of new babies, loved ones, pets, projects, or whatever you may want to show off. 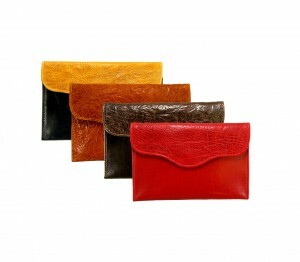 Our leather envelopes make great purse organizers too. The envelopes are crafted by hand from whichever leather finish you may choose, and are lined with a soft sueded material to protect your pictures.They have a firm body, and a powerful magnetic closure to protect your favorite photos nicely. If you’re looking for a great leather gift, this one should be on your list. 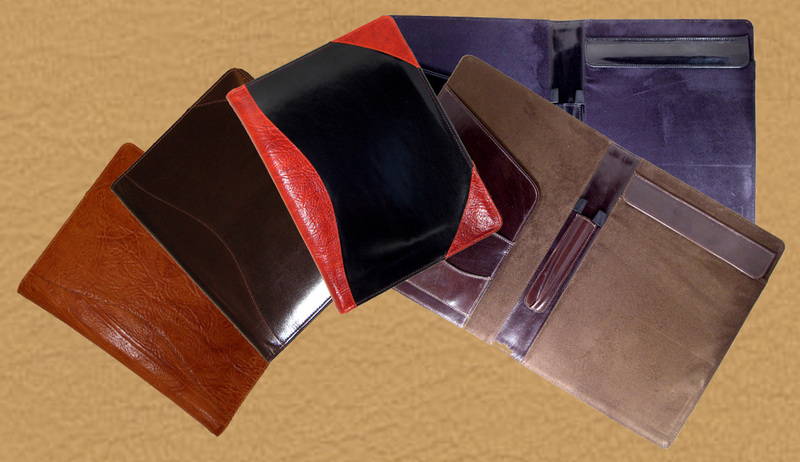 Please feel free to have a look at our website and browse ourhandmade leather accessories, custom leather albums,personalized journals, leather pad portfolios, or any of our other handmade leather products to find something that is right for you.